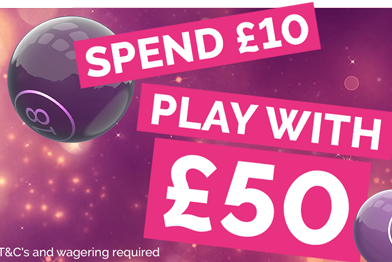 Free bingo no deposit is one of the most popular sign up offers available to bingo players. Everybody loves a freebie, don’t they? Well, there are plenty of sites out there offering free bingo games. One of the most popular welcome promotions you’ll find is the ‘free bingo no deposit’ bonus. So what exactly is free bingo no deposit, and is it worth signing up for? No deposit bingo basically means you receive free bingo money to use on the bingo site just for signing up. You do not need to make a deposit in order to receive the free cash. What you do need to realise however is that this free money isn’t actual cash; it is usually provided as a bingo bonus which can only be used on bingo games, so it can’t be withdrawn. However, it can be used to spend on bingo games, increasing your chances of winning without spending any of your own cash. As always, it is important to read the terms and conditions of a free bingo no deposit bonus before you sign up. Why are free bingo bonuses so popular? Online bingo sites use free bingo bonuses to draw in new customers. They know that free money is a huge incentive, but they don’t just benefit the bingo site. You can use the free bingo cash to try out the site before parting with any of your hard earned money. Sometimes, it’s difficult to know which games provide the best chance of winning and which are more enjoyable without actually trying them. The free bingo no deposit required offers you the chance to see which games you prefer, which have the most frequent pay-outs and which are best avoided. It also gives you a chance to check out the feel of the site. It isn’t all about games. A site should also have a positive, friendly feel. Does it have a good community? What are the chat games like? These are just two of the things you can suss out with the free bingo bonus. There’s an old saying that ‘nothing good comes for free’. So, is this true for no deposit bingo offers? It can be, which is why you need to always read through the terms and conditions. Many bingo sites have wagering requirements that must be met before you can withdraw any money. These wagering requirements often lead you to spend a lot more in order to receive your winnings. For example, if the site gives you a £20 no deposit bonus, you may need to spend double, or even triple that before you can withdraw any winnings. The actual free £20 also cannot be withdrawn as it is provided in bingo bonus points rather than real cash. Another thing you have to watch out for is that the free bingo bonusyou receive is often deducted from any money you win. Therefore it isn’t truly ‘free’ as the bingo site leads you to believe. The free money is also not often included within the wagering requirements. So you will need to spend a lot of your own money before you can withdraw anything. There are some sites that have started offering free bingo winnings withdrawals, without the need to match any wagering requirements. Cheeky Bingo and Costa Bingo were two of the first sites to offer this back in 2009. However, it is definitely something that you need to check before you sign up with a new bingo site. The actual wording used within the offer is also important to pay attention to. If ‘real cash’ or ‘cash’ are used then it usually means the money will be placed into your account as a cash balance. If those words aren’t used, it means they will be added as bonus funds. Also pay attention to if the word ‘play’ is used within the offer. For example, it may say “Deposit £5 and receive £25 to play”. At first glance this looks like you are receiving £25 free. However, the actual free amount is £20 plus the £5 you deposited. Free bingo no deposit bonuses can be an excellent way to ‘try before you buy’. Providing you pay attention to terms and conditions and you familiarise yourself with the wording used within the offer, you can make the offers work for you.